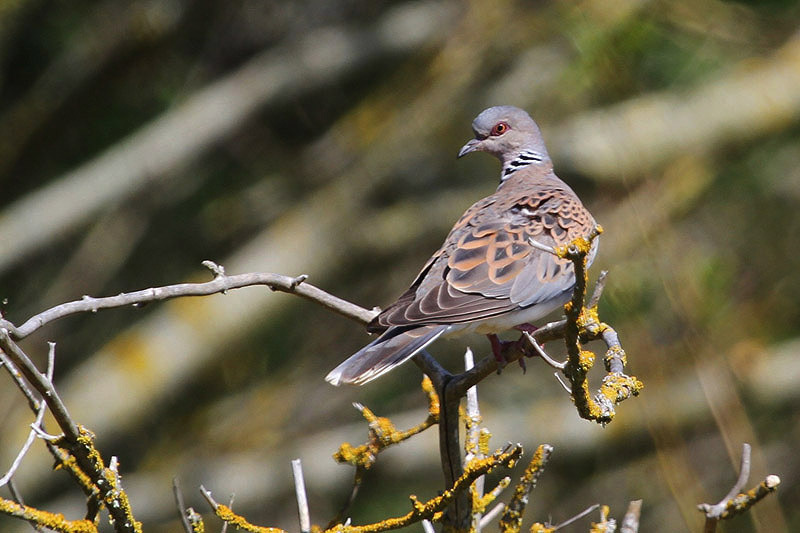 A new research study, conducted on six farms across East Anglia, has recommended a new agri-environment management option that could help in the recovery of UK turtle dove populations. The study, carried out by the RSPB, found that cultivating grown seed with a mix of plant species in the autumn creates a habitat rich in seed that is easily accessible – ideal for turtle doves, which feed on seeds present on, or close to, the ground. The authors also suggest that light cultivation or cutting during spring would better prevent the plots from becoming too overgrown and, therefore, unsuitable for turtle doves. UK turtle dove populations have fallen 88% since 1995, with one cause for this decline thought to be the lack of seed from arable plants, which historically formed the bulk of turtle dove diet during the breeding season, resulting in a much shorter breeding season with fewer nesting attempts. This latest research into the management of bespoke seed mixes to provide food for turtle doves, (published in the Journal for Nature Conservation), is under consideration as a part of a modified version of the nectar flower mix option under the UK’s Countryside Stewardship Scheme and could be pivotal in providing food for turtle doves on farmland across the UK. Patrick Barker, an arable farmer in Westhorpe, Suffolk, who took part in the study, said: “It’s been great to be involved in this research and to find out how we can give turtle doves a hand. What was particularly striking was that the areas they prefer don’t look as you’d expect. For example, we learned that bare patches on the ground amongst the vegetation give them space to land and move around. This new management option is part of a wider ‘turtle dove package’, deployed within the Higher Level Stewardship scheme agreements on farms supporting turtle doves (or with turtle doves nearby), which seeks to provide foraging habitat in proximity to nesting turtle doves. The other options in this package include cultivated margins, fallows that promote seeding plants, and scrub and hedgerow management for nesting. The options a farmer selects will depend on local land characteristics and farming practices. Tony Morris, Senior Conservation Scientist, RSPB Centre for Conservation Science said: “This research helps our understanding of how to provide food for turtle doves on farmland where the original sources of seed food have long since vanished but without unduly disrupting modern agriculture. 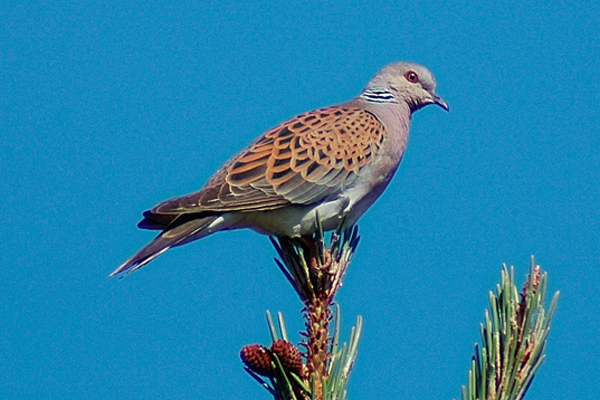 Jenny Dunn, RSPB Conservation Scientist, said: “The results of this research show that it is possible to create a ‘farmed’ habitat structure similar to that used by turtle doves historically – an area with a patchy structure containing both seed-rich plants and bare ground to allow turtle doves to access the seed.